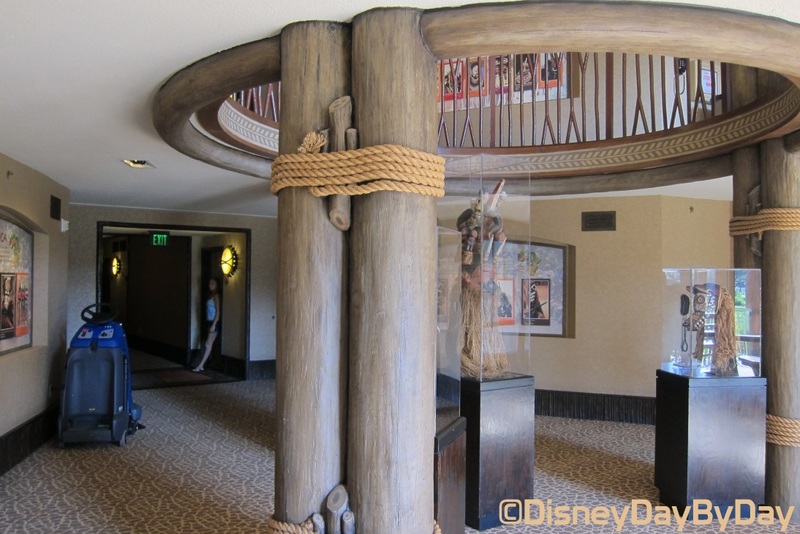 Our Hidden Mickey this week comes from our recent stay at Disney’s Animal Kingdom Lodge. As you walk through the halls to your room, there are places along the way to take in the animals and all the artifacts on display, but have you looked for our friend? My wife’s keen eye found this Hidden Mickey on our way back to our room from the pool. 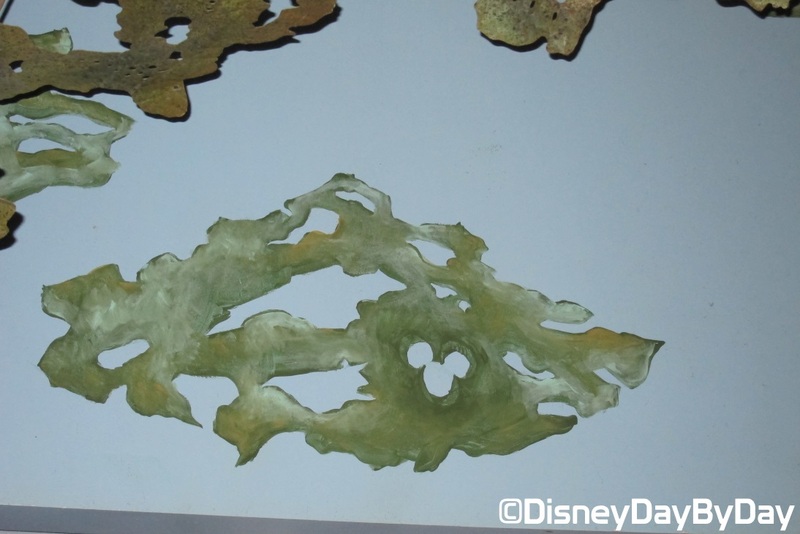 These are may favorite types of Hidden Mickey’s finding them when you least expect it. See if you can spot him. Did you find him? Here is one final hint…. Hi Mickey! 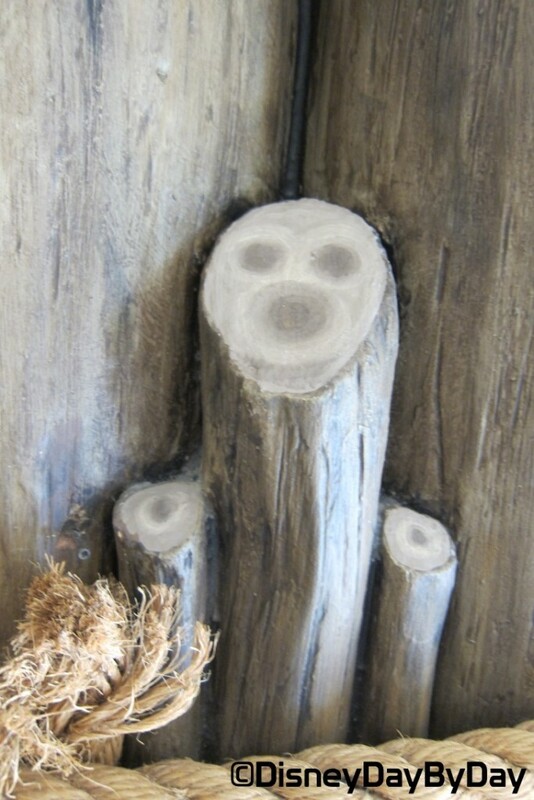 Look how they hid him in the rings of that tree. Hi Mickey!! We love Hidden Mickey‘s. Where have you found Mickey at your favorite Disney Resort? Our Hidden Mickey this week comes from our recent trip to the parks with my sister and her family. 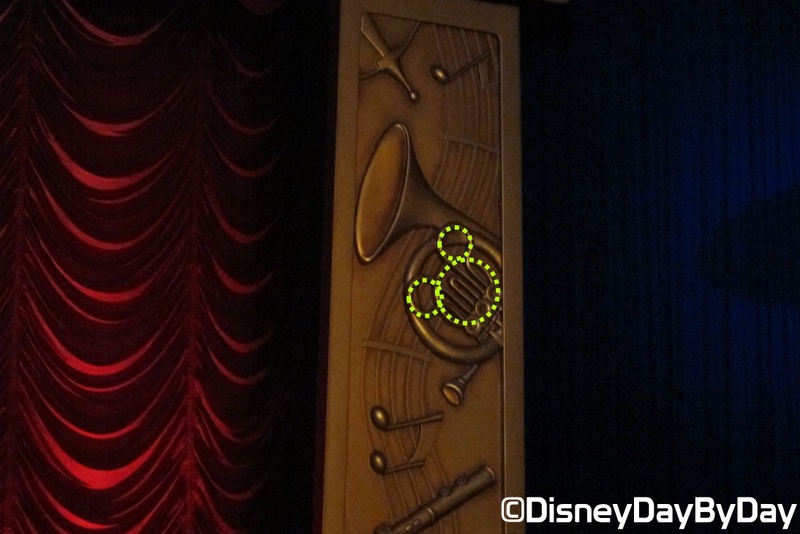 As we rushed into Mickey’s PhilharMagic to escape the heat for a few minutes my niece pointed out this Hidden Mickey. Take a look below and see if you can spot him. As you move all the way to the end of your row and find your seat, be sure to check out all the instruments around the stage. You just might spot our pal. Did you find him? Take a close look at how those tuba valves are positioned. Hi Mickey!! We love Hidden Mickey‘s. Where have you found Mickey at Mickey’s PhilharMagic? 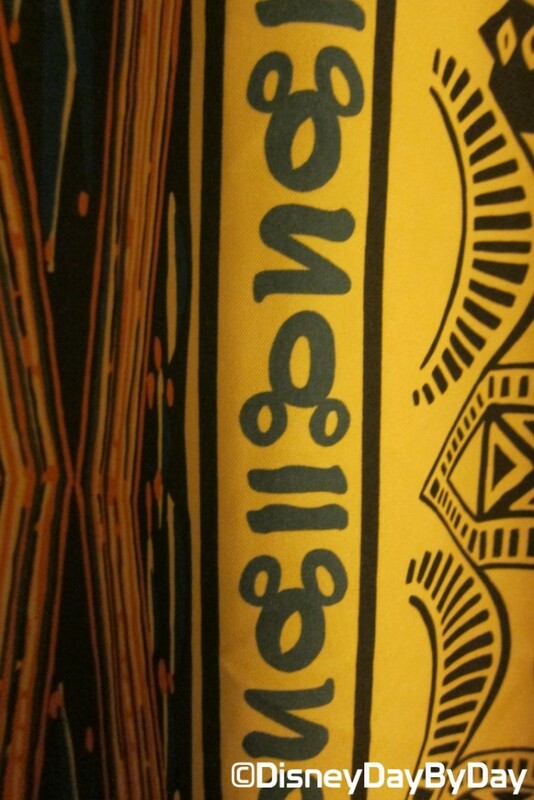 Our Hidden Mickey this week comes from our recent trip to Animal Kingdom Lodge. The Mara is the quick service food location at the Animal Kingdom Lodge with some great food to try. Be sure to keep your eye out for our pal when you dine here. As we were waiting in line to order our dinner, my wife spotted him. Can you find him? Yep right there in the green simulated tree branch area above everyone’s head. Hi Mickey!! We love Hidden Mickey‘s. 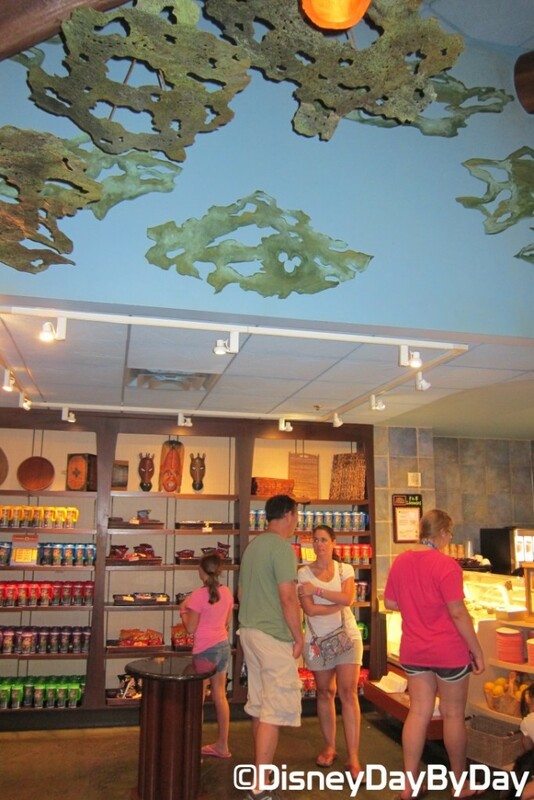 Where have you found Mickey at the Animal Kingdom Lodge? Our Hidden Mickey this week comes from our Downtown Disney – soon to be Disney Springs. 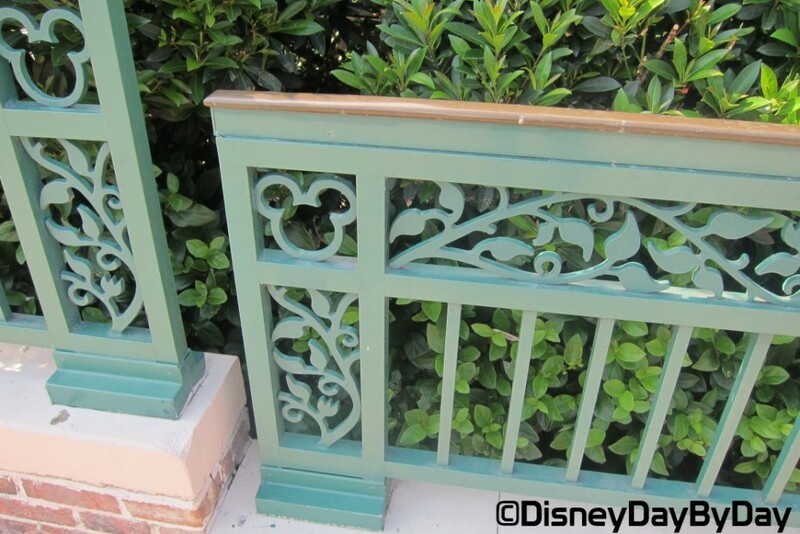 As you stroll around the area in front of the World of Disney, be sure to pay close attention the the railings. Hi Mickey!! Thanks for surprising us at Downtown Disney. We love Hidden Mickey‘s. Where have you found Mickey at Downtown Disney? 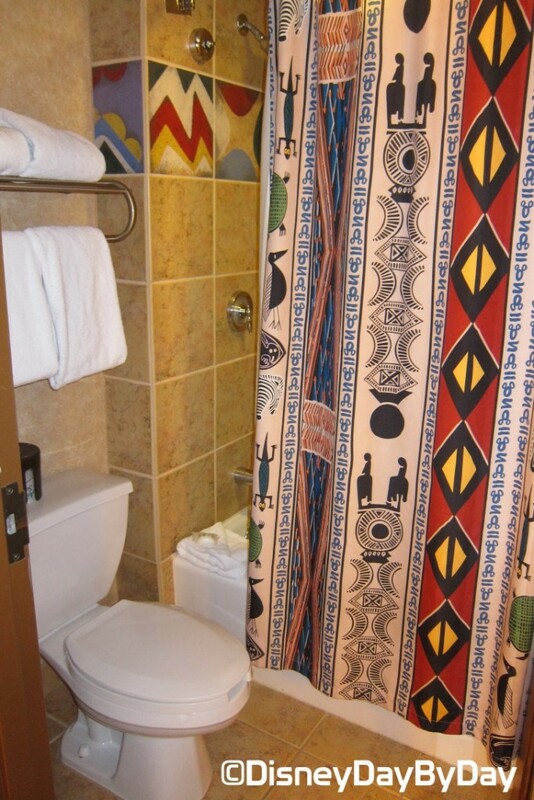 Our Hidden Mickey this week comes from the bathrooms at the Animal Kingdom Lodge. We recently stayed here for our Anniversary and spotted him in a few places around the room. 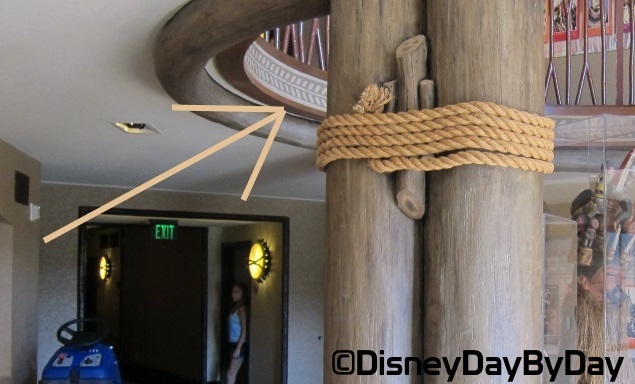 Can you spot this Hidden Mickey? Did you spot him on the shower curtain? Both right side up and up side down. We love Hidden Mickey‘s, have you found one at your favorite resort? 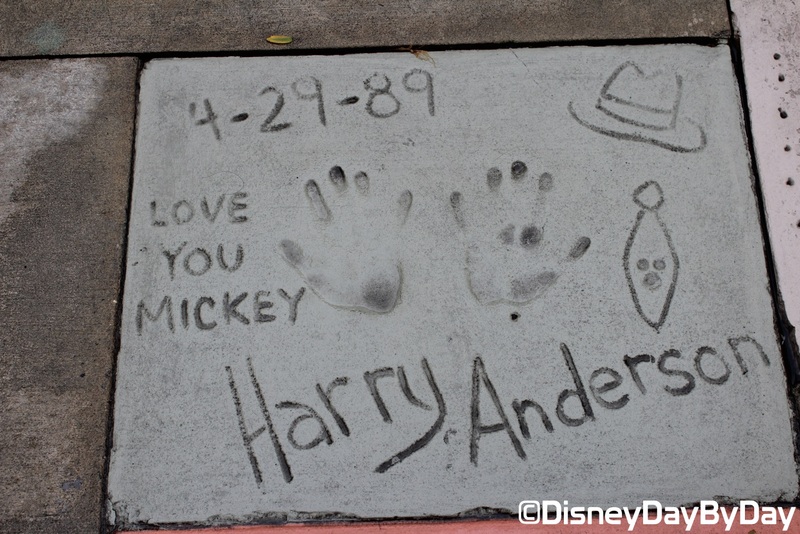 Our Hidden Mickey this week comes from the Walk of Fame just outside the Great Movie Ride at Disney’s Hollywood Studios. Many just walk right past these famous signatures and hand prints, but if you have some time be sure to walk through and check them out. You just might spot a Hidden Mickey. Here is one with Harry Anderson, do you remember Judge Harry Stone on Night Court? How about the con man “Harry the Hat” on the hit series Cheers? Did you spot him on the tie to the right of the hand prints? We love Hidden Mickey‘s, have you found any others in the Walk of Fame?